"Justin Aaberg came out as gay when he was 13 and, as his mom found out only after he hanged himself, suffered tremendously inside. 'I actually thought he had the perfect life. 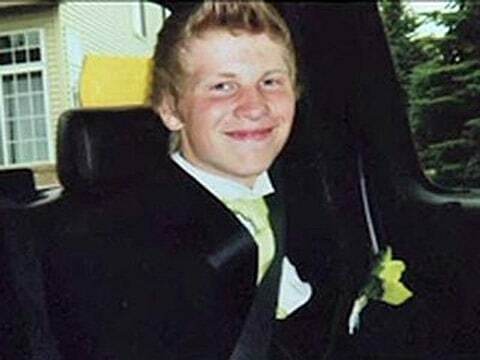 I thought out of anybody I knew that he had the perfect life,' said Justin Aaberg's mother, Tammy Aaberg. 'But I guess he didn't think so.' In the weeks since she found her son dead in his room on July 9, Tammy Aaberg has heard from many of her son's friends at Anoka High School. They told her Justin Aaberg had been bullied and had recently broken up with his boyfriend. Those same students also opened up about their own experiences, telling her they feel harassed and unsafe as gay and lesbian students. 'These kids, they just hate themselves. They literally feel like they want to die. So many kids are telling me this,' said Tammy Aaberg, fighting tears." Watch the heartbreaking video HERE. There were five suicides in the Anoka-Hennepin District last year, and a lesbian student there as well as a teacher believe at least three were attributable to anti-gay bullying. "…name-calling and bullying happen often in the district because teachers and students don't stand up to it. The teachers said that's partly because other teachers are scared and confused about how to interpret the curriculum policy. The Anoka-Hennepin School District said the curriculum policy and bullying are two entirely separate issues. 'It's very difficult. We have a community that has widely varying opinions, and so to respect all families, as the policy says, we ask teachers to remain neutral,' said District Spokeswoman Mary Olson."